Three empty miniature vodka bottles, 2 were Belvedere, one was Pravda. Both from Poland. Various possible uses. These three empty vodka bottles are miniatures. A perfect size to use for your own home made concoction, or use as small flower vases or use for numerous other purposes. All three are empty but when full they held 50ml in volume. All three are see-thru glass and have their original lids. All three are from Poland. There are two from Belvedere vodka and one from Pravda vodka. 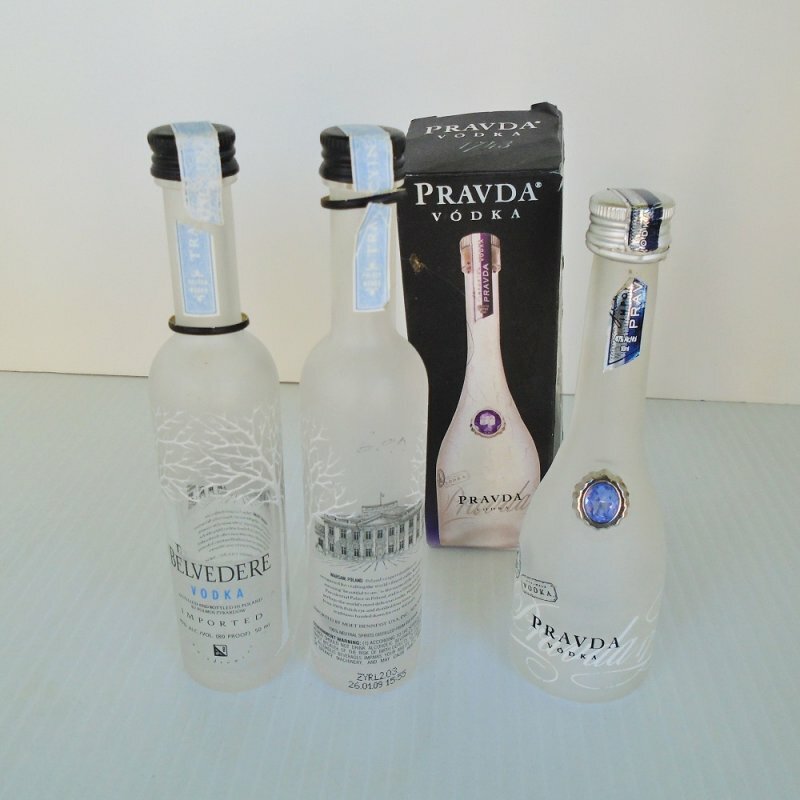 The Belvedere bottles stand six inches tall, the Pravda stands 5.25 inches tall. The Pravda bottle has its original box, but the box has a little damage. Buyer to pay USPS First Class Mail Parcel delivery charges of $7.95. Delivery is from California.